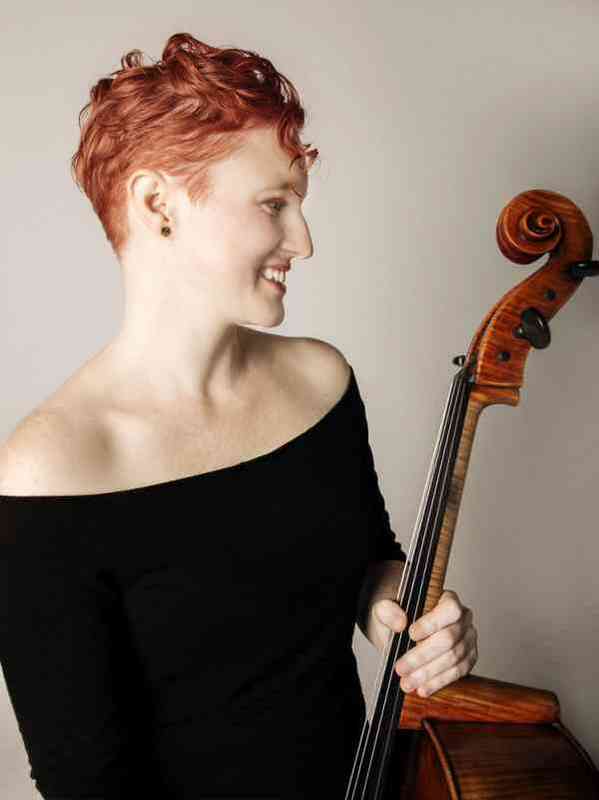 Cellist Anna Burden, a native of Chicago, was born and raised a Suzuki student. Her mother started her on Suzuki piano when she was 5, and she began Suzuki cello lessons at the age of 8. She studied with the renowned Suzuki cello teacher Nell Novak during childhood, and later continued her studies with Richard Aaron, Hans Jensen, Darrett Adkins, Joel Krosnick, and Alan Stepansky. Passionate about early childhood education, Ms. Burden pursued her Suzuki teaching certification from School for Strings in New York City while also pursuing a Master’s Degree from The Juilliard School. Additionally, Ms. Burden received her final levels of Suzuki certification (books 9-10) at the Chicago Suzuki Institute, where she had been a student for 6 years as a child. Ms. Burden completed all of her teacher training under the tutelage of Pamela Devenport, an internationally recognized Suzuki cello pedagogue. An avid performer as well, Ms. Burden has performed extensively throughout the United States, as soloist with the Peninsula Music Festival Orchestra, the Juilliard Orchestra, Washington Chamber Symphony, the Northwestern University Symphony Orchestra,and the Oak Park Symphony Orchestra, among others. Ms. Burden is the winner of numerous competition prizes, including the Grand Prize in the Music Teachers National Association Competition, First Place in the Society of American Musicians Competition, and top prizes in the Washington International Competition, the Stulberg International Strings Competition, and the WAMSO Young Artists Competition. Ms. Burden holds a Bachelor Degree in cello performance from Northwestern University, a Master’s Degree from The Juilliard School, and a Professional Studies Diploma in Orchestral Performance from the Manhattan School of Music. She has attended The Piatigorsky Seminar for Cellists, the National Arts Center Young Artists Program, the Verbier Music Festival, and the Yellow Barn Music School. While living in New York City, Mr. Burden taught Suzuki cello at several schools, including the Lucy Moses School, Brooklyn Conservatory, Brooklyn College Preparatory Center, and School for Strings. She currently holds a private studio in Montreal. Ms. Burden is the Associate Principal cellist of the Orchestre Symphonique de Montreal as of 2010. In addition to her work in Montreal, Ms. Burden has played in the Peninsula Music Festival Orchestra in Door County, Wisconsin since 2007. Before joining the OSM, she played in the Saint Louis Symphony from 2009-2010.